Confused? How to measure a pool table. With all those funky guides around it really is confusing and misleading. In fact, it is quite easy to measure a pool table and you don’t need any pinpoint accuracy equipment to measure the pool table. 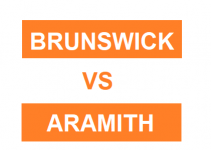 In this post, we will guide you to measure a pool table to order the right size pool table or order the right felt for the table you already own. 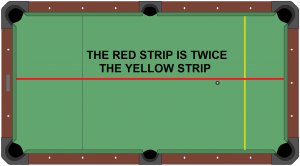 A general rule that you should keep in mind is that the length of the pool table is half of the width of the table. 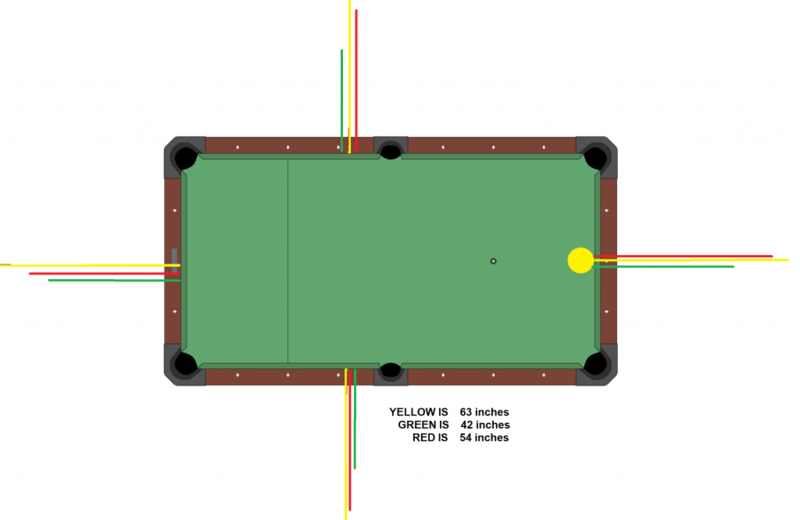 A common confusion is where to measure the pool table, should I measure the inner part of the table or should I measure from the outer edge of the table. The answer is that the inner playing area of the table comes in just three dimensions while the outer part that encapsulates the inner playing area can be of different length and width. Because different manufacturers offer different exotic materials, designs and features that can make the outer part of the pool table different and hence you can have varying measurements from table to table if external measurements are taken. So we should measure the inner playing area part only. In the figure attached below look at the yellow line. It is the width of the table. You need to measure the upper part of the cushion that is where the ball collides with the rail. You don’t need to measure the inner lower part of the rail where often the chalk residue builds up. 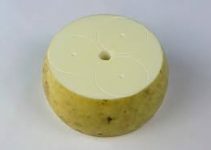 In the second figure, the yellow line represents another view that shows from where you need to measure the width from one end to the other. The lower green line shows the length is being measured from the inner part of the rail which is wrong. It is considered wrong because if you are planning to buy a pool table then on the website the sizes for the inner play area are mentioned from the upper part of the rail. Therefore, it is important that you measure according to the standards that are being followed on the market. Basically, the length is double of the width of the table. A measuring tape can easily help you out in finding out the width of the table. The first table is the most commonly used in homes, second being used in the amateur clubs while the last is used for the tournaments. If you already own a table and planning to order a felt, make sure you order a 5 inch extra felt bleed for your table that would easily cover any imperfections that were made during the measurement process. HOW BIG THE POOL TABLE SHOULD BE FOR MY ROOM. Given the space available in your room, the choice of the table depends on the cue length you can play with. Some people find medium cues ideal to play with because at homes even kids can comfortably handle the smaller cue lengths. From the picture, you can see that if you have bigger cues then you need a clearance of at least 63 inches or 54 inches for medium or 42 inches for smaller cues. 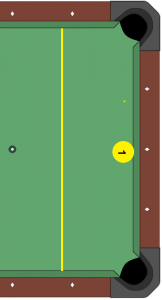 I have added 6 inches to assume that you can play the tough rail shot easily with flat cue without raising the cue stick angle. So this is the space you will require around your pool table to play the game comfortably in your room. 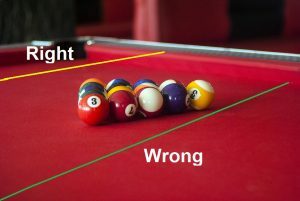 Look at the picture below for better understanding of what is meant above clearance or optimal space required around the table to play pool shots comfortably. 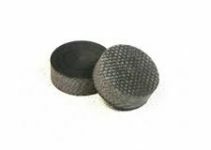 Ignore the imperfections, we intend to give you the idea of the right size for your pool table. 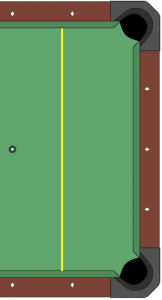 From the figure given below the yellow line represents that if you plan to play with standard larger cue than you must leave 63 inches on each side of the table to play the comfortable shot. It is represented by the yellow line. If you are comfortable with playing with medium cues then leave 54 inches from all sides of the table. It is represented by the red line. If you are comfortable with smaller cues then leave 42 inches from all sides of the table. It is represented by the green line. When planning to measure the pool table it is necessary that you have a right measuring tape. Always measure the width as it is easier to handle and measure from the upper part of the rail. In addition, order extra felt so that the extra part can be cut as bleed. In case you are planning to order a pool table make sure that you consider the clearance along the side of the table to play shots comfortable.